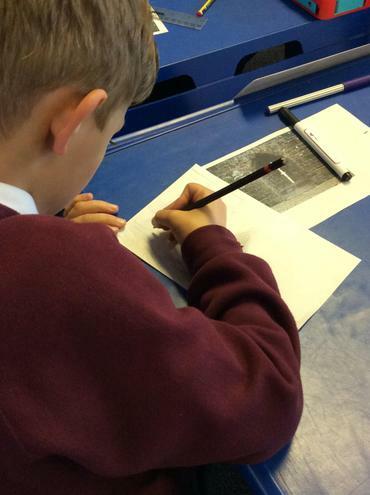 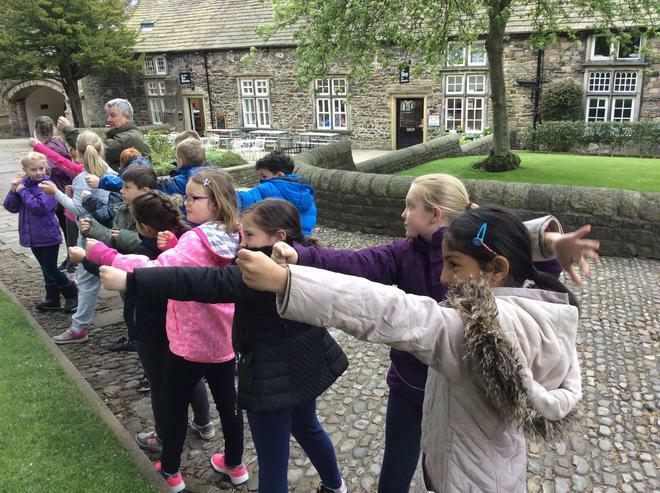 This half term Year 4 are going to undertake an enquiry into defence, from 1066 to the present day. 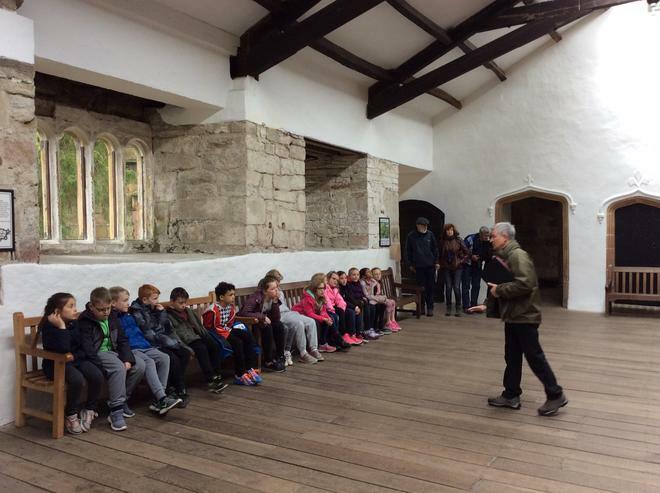 The children will begin with the Norman invasion and will examine how building design has played an important part in British defence. 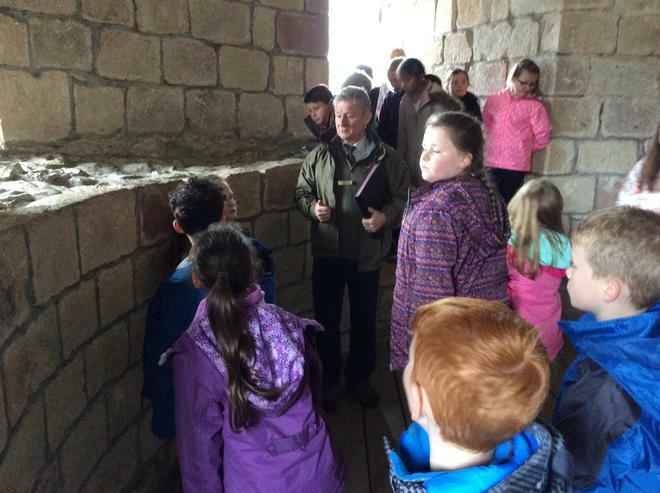 The children will explore a range of defensive features, including transport, technology and alliances. 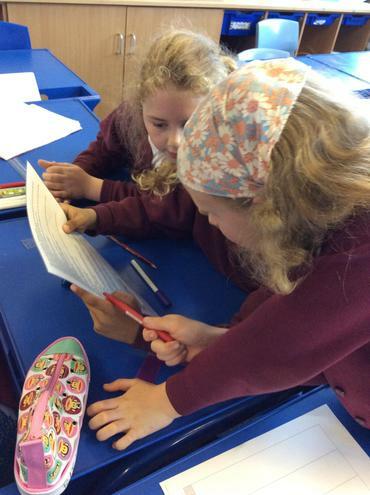 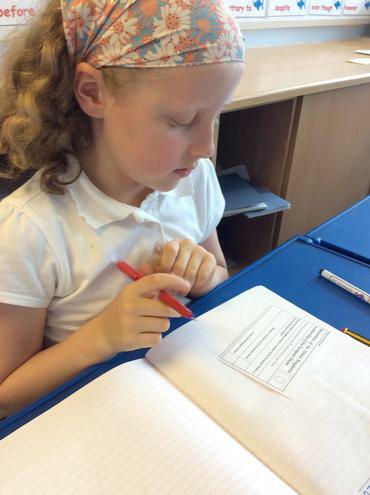 Year 4 have been exploring the concept of alliances. 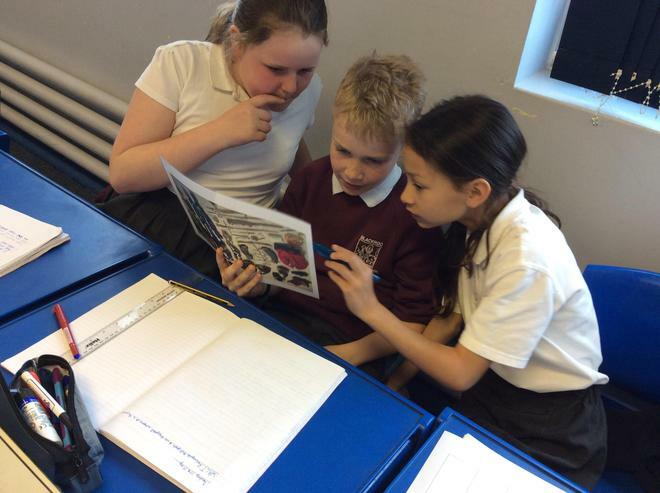 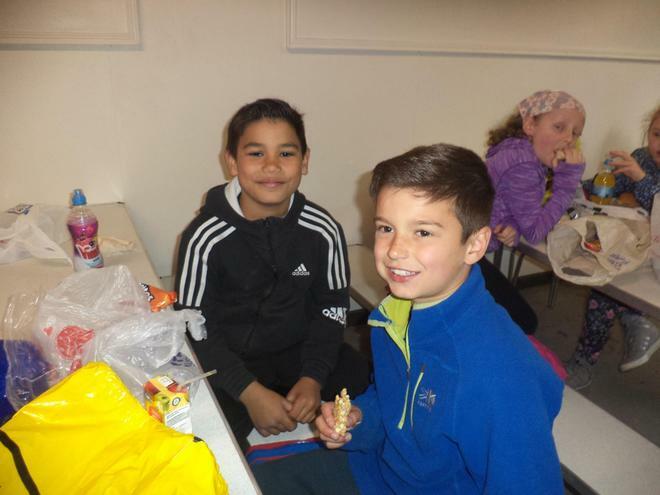 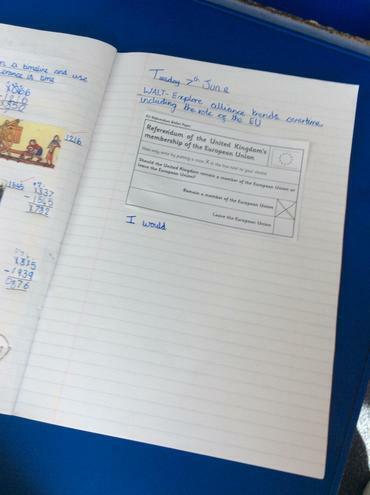 They have looked at how the Tudors made alliances by marrying into international families. 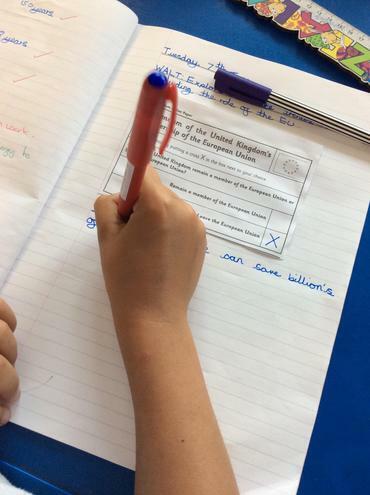 They then compared it with the establishment of the European Union. 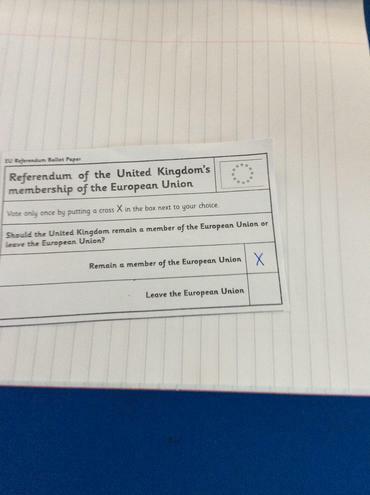 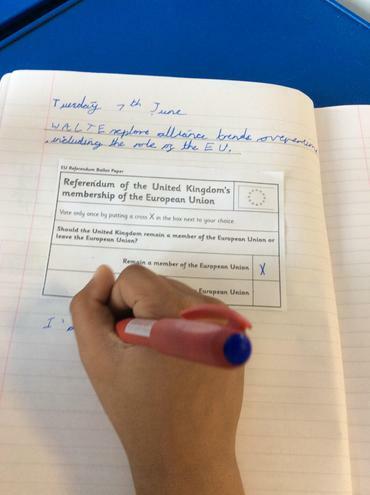 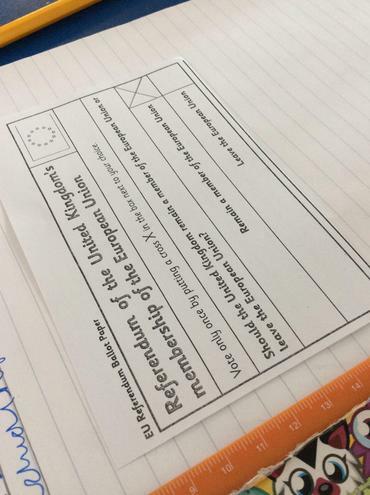 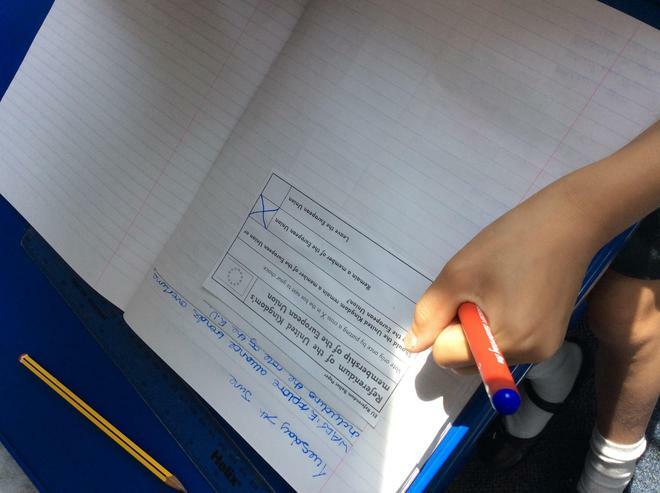 The class then had a discussion about the forthcoming referendum and voted whether to remain in Europe or leave. 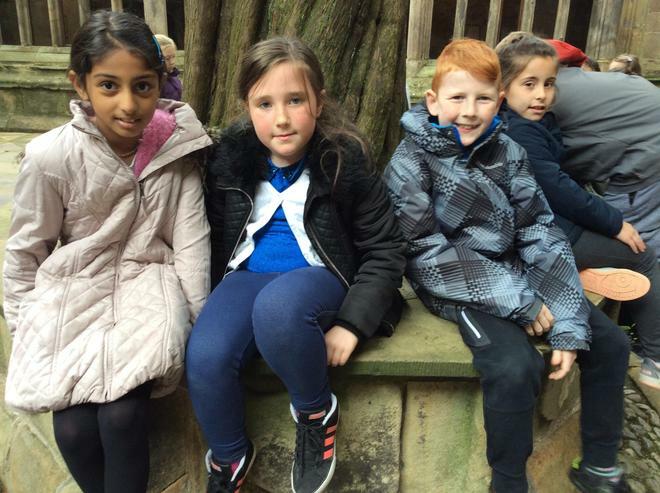 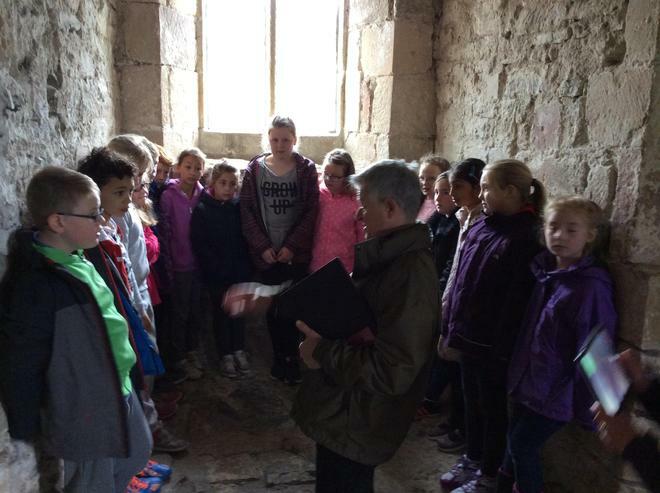 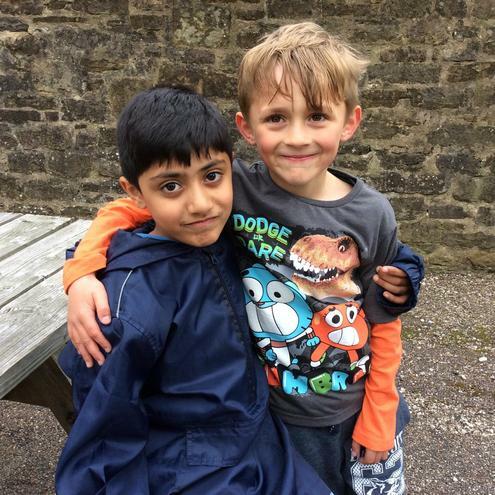 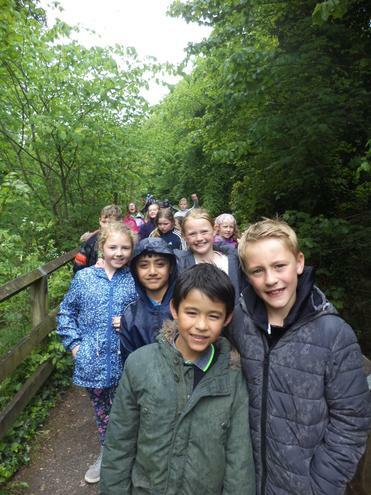 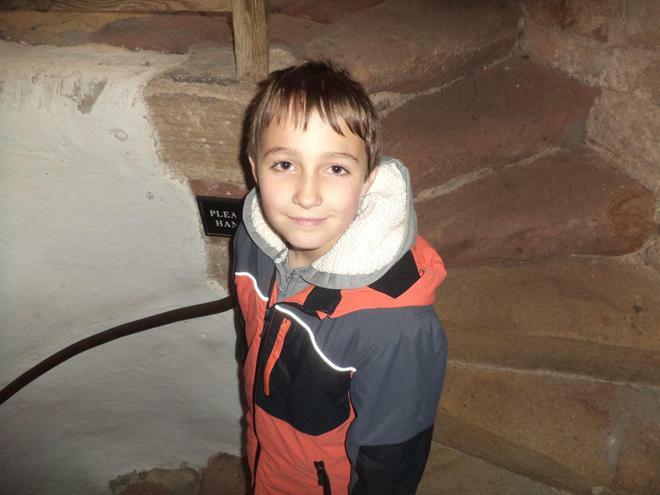 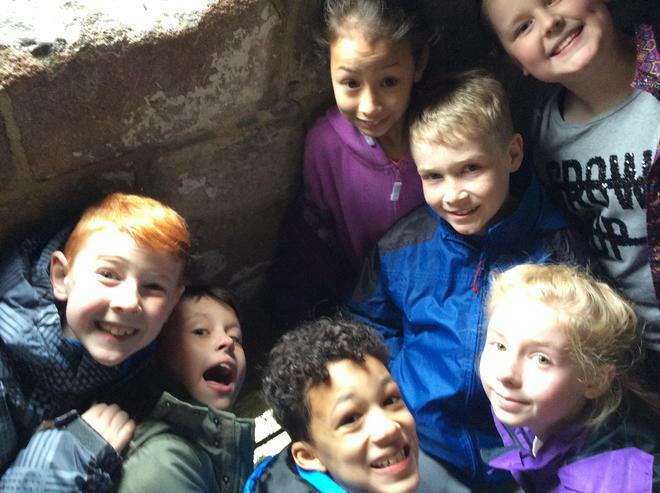 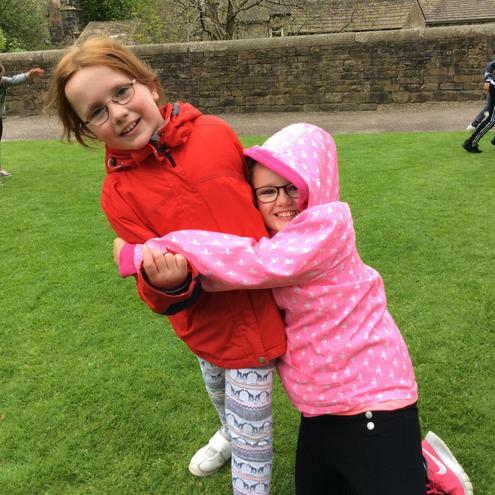 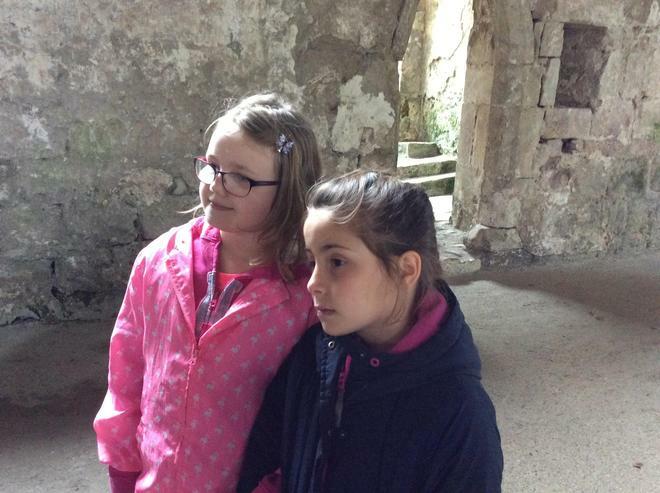 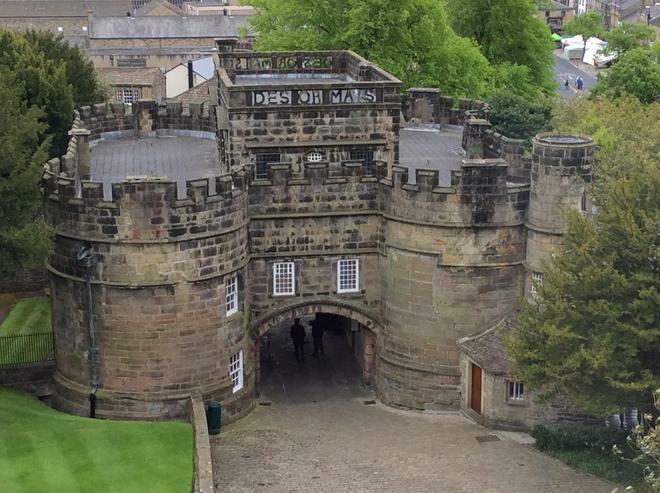 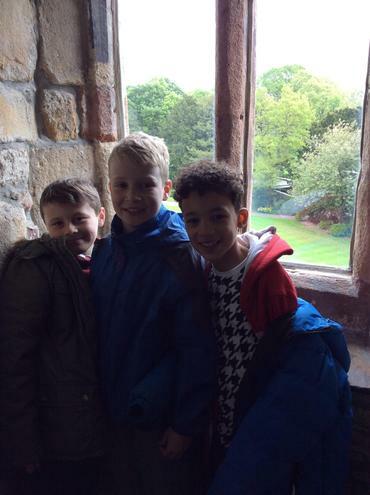 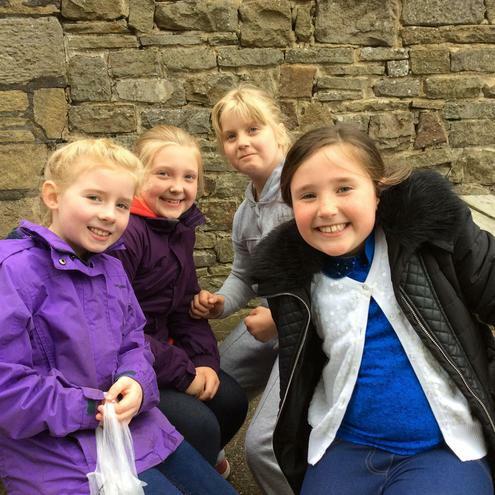 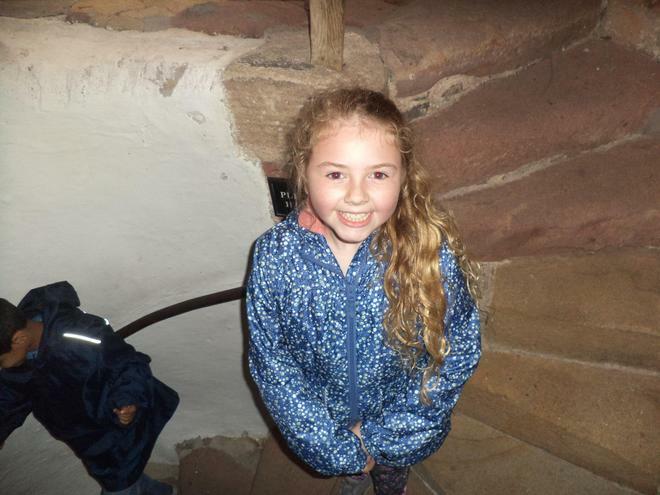 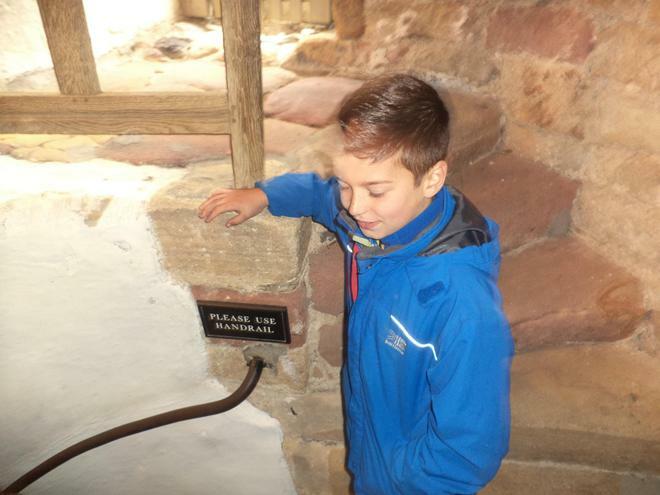 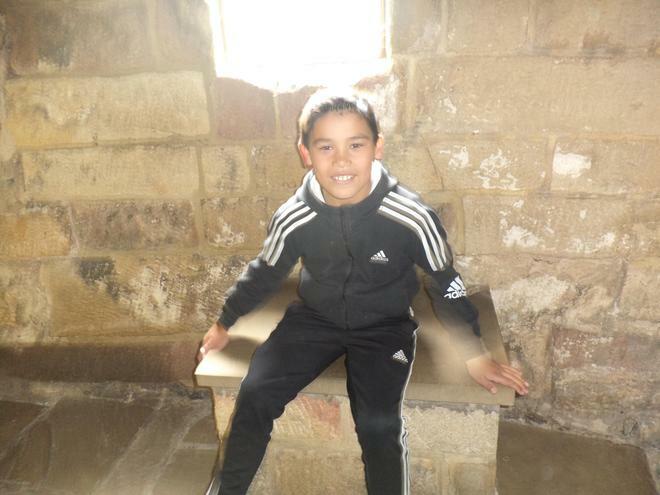 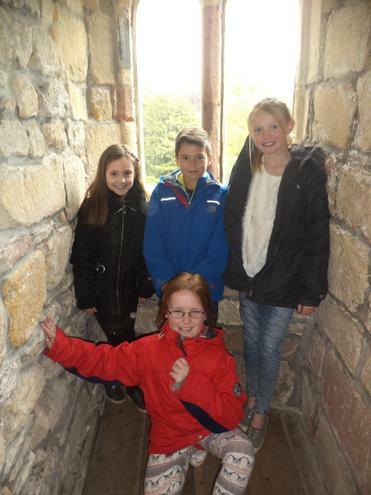 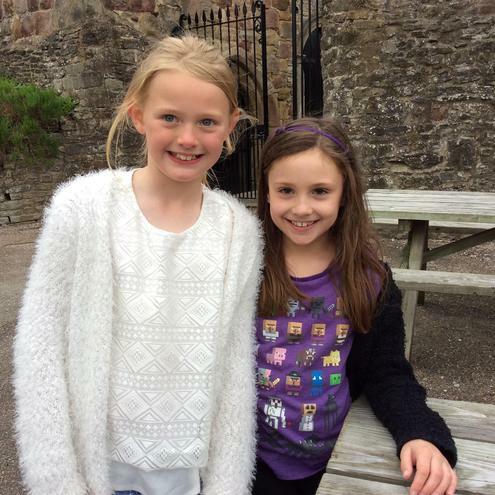 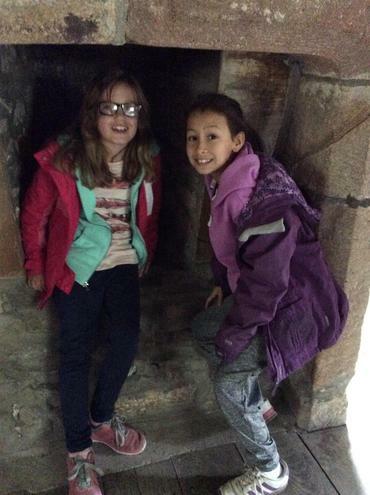 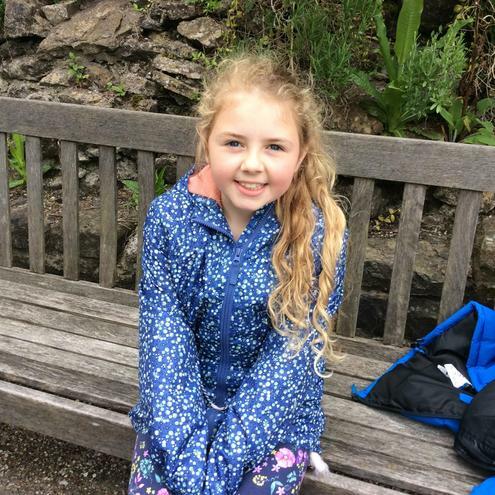 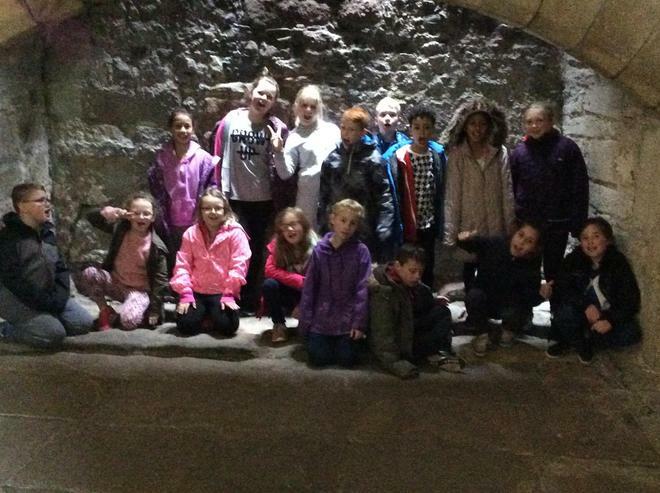 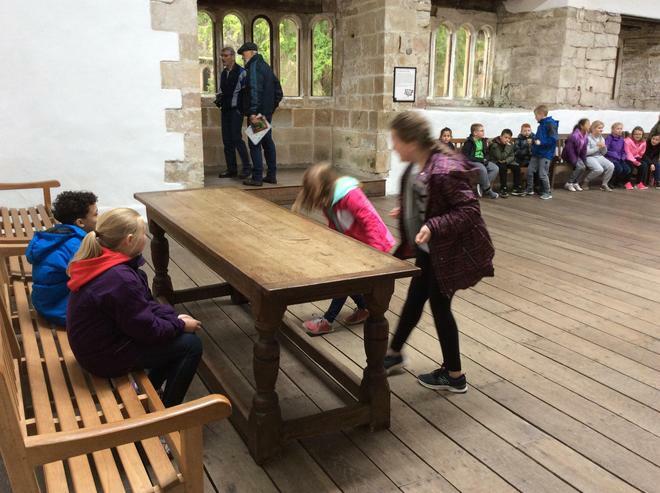 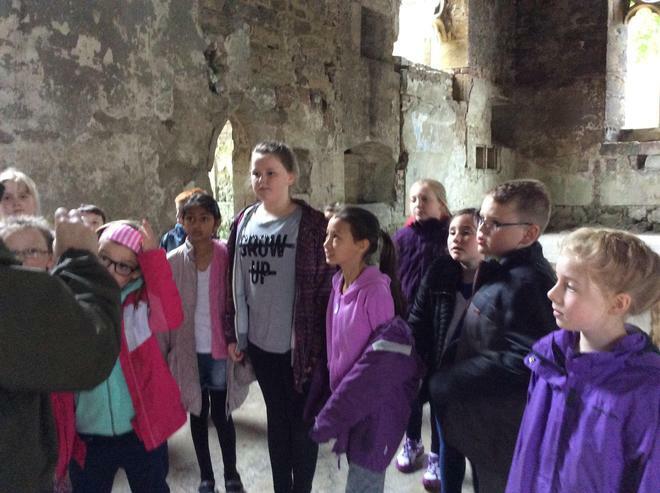 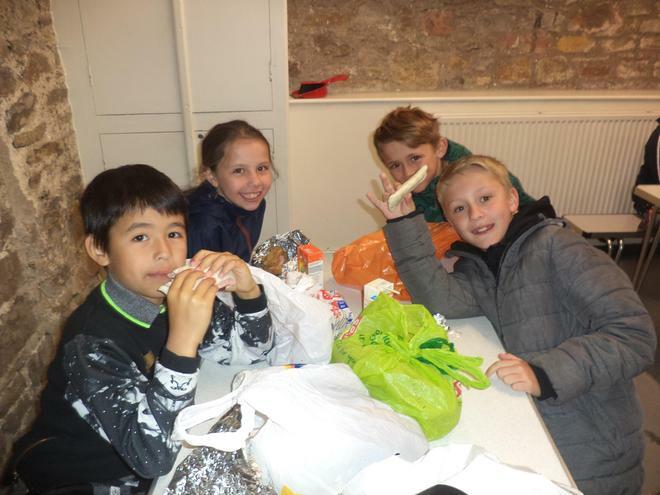 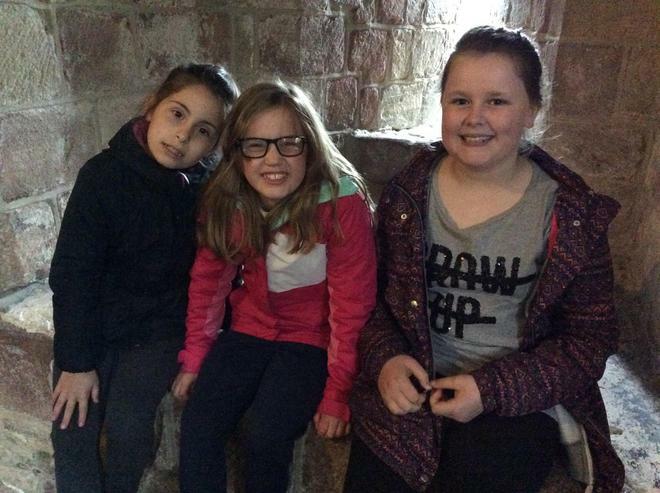 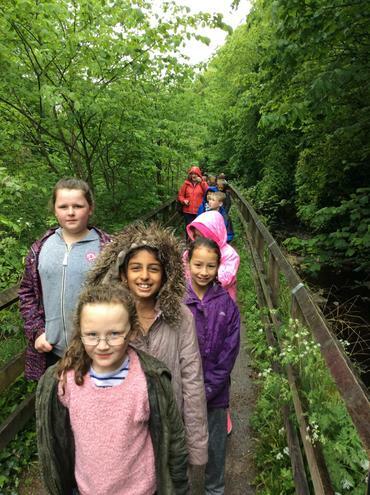 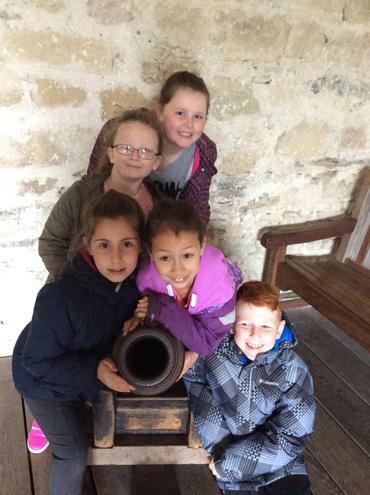 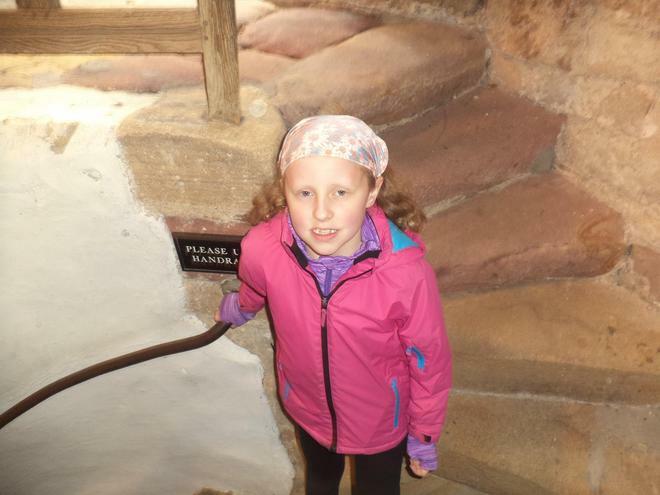 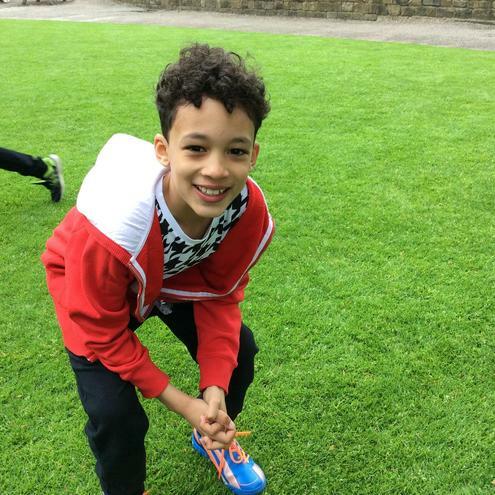 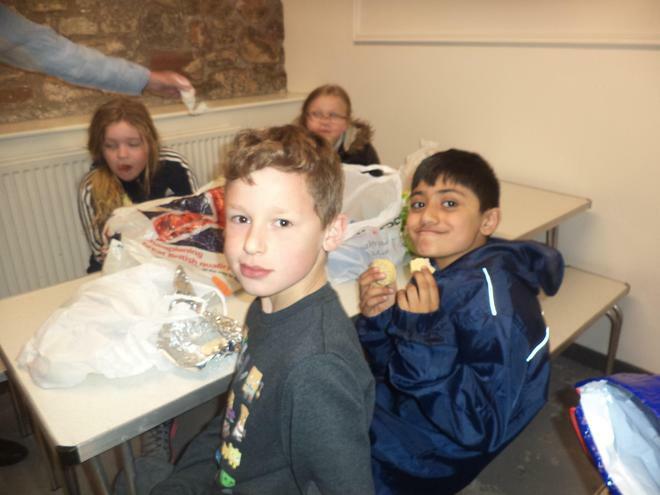 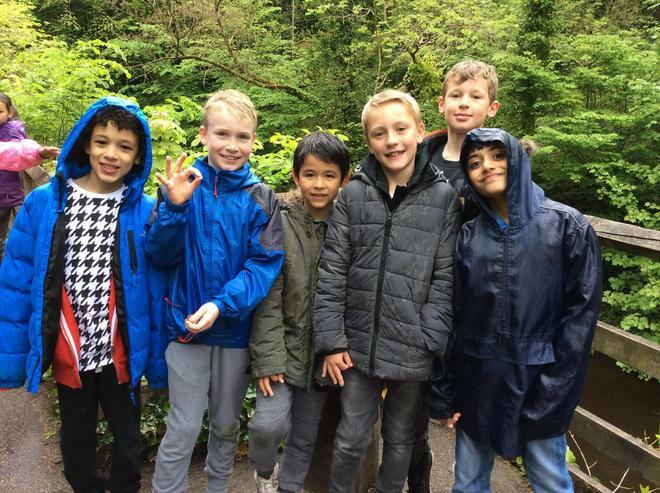 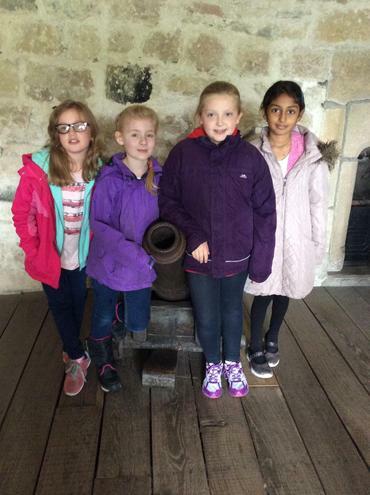 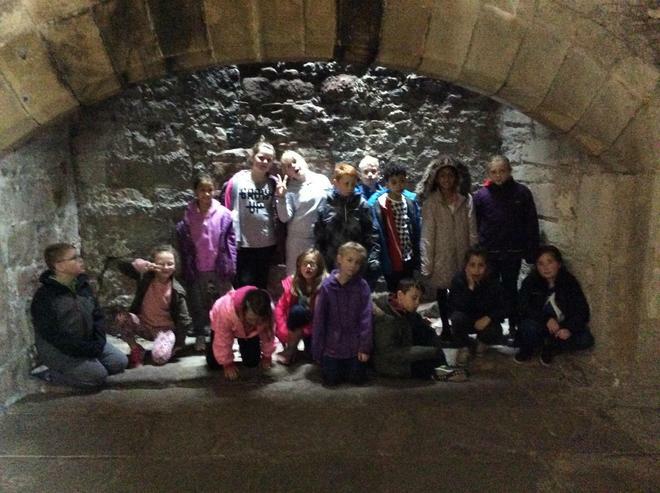 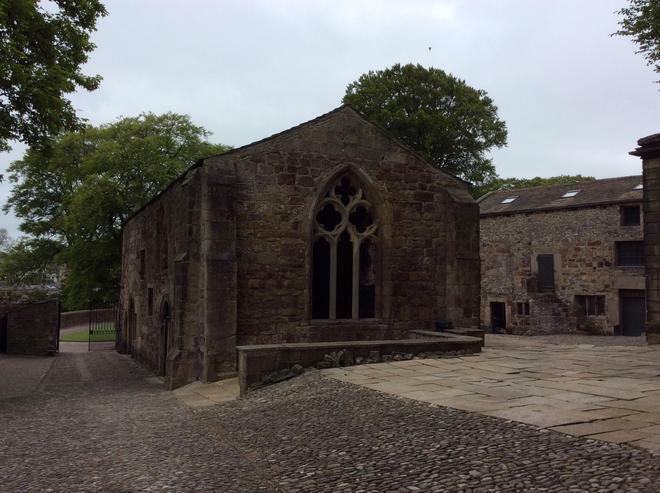 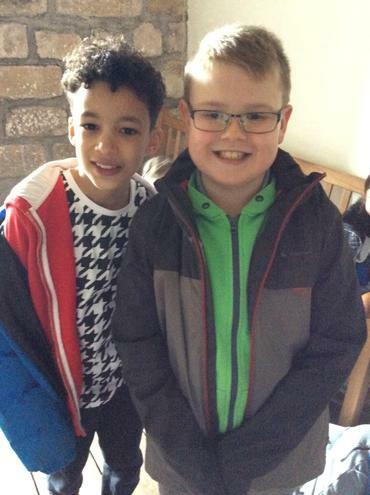 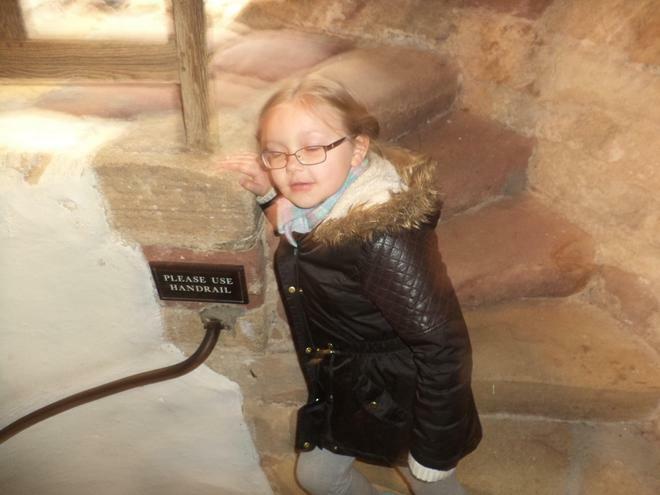 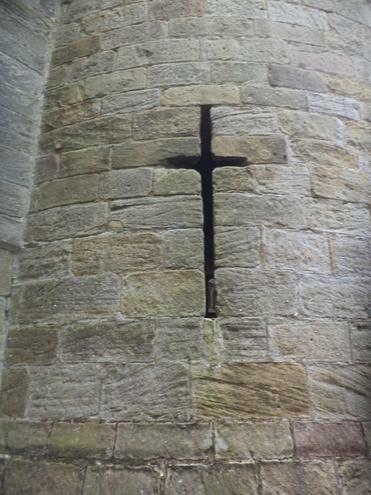 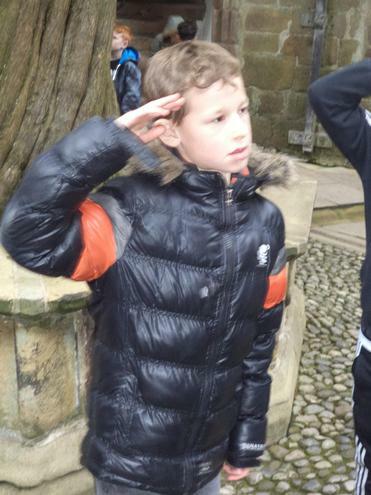 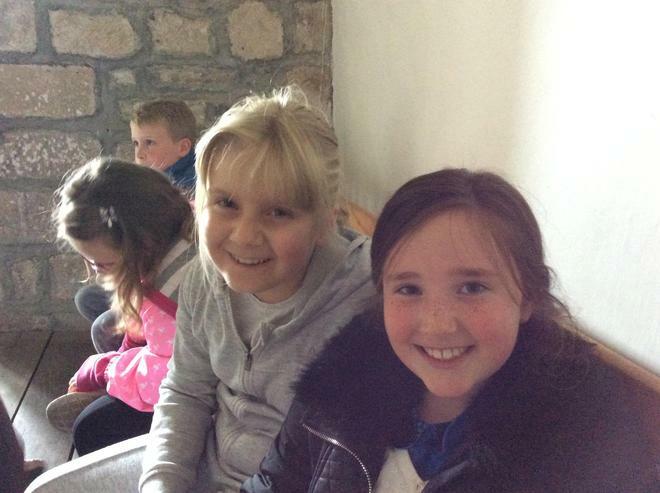 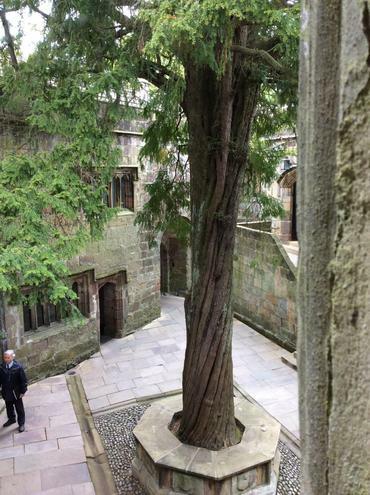 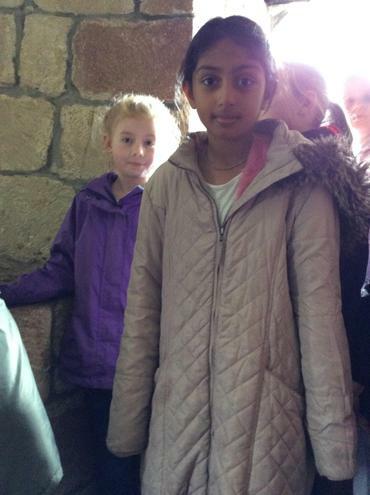 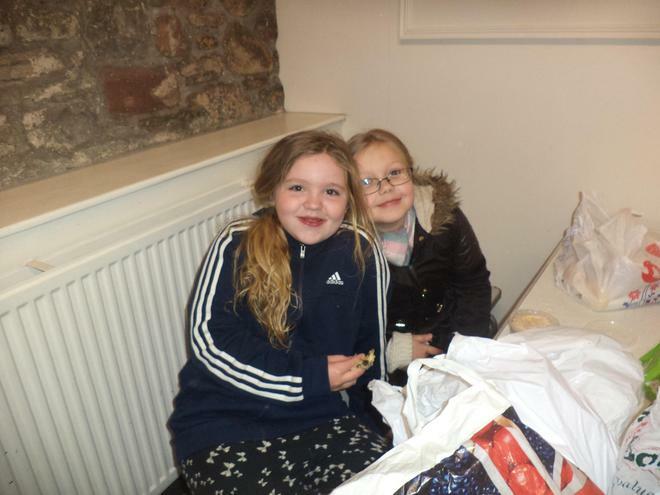 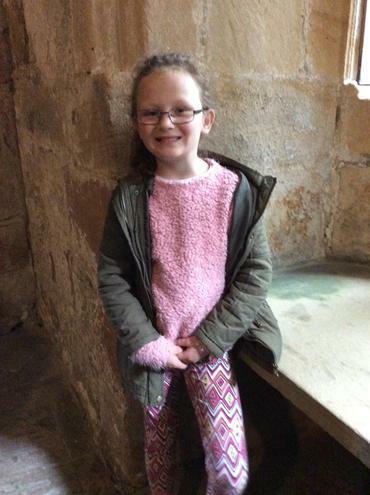 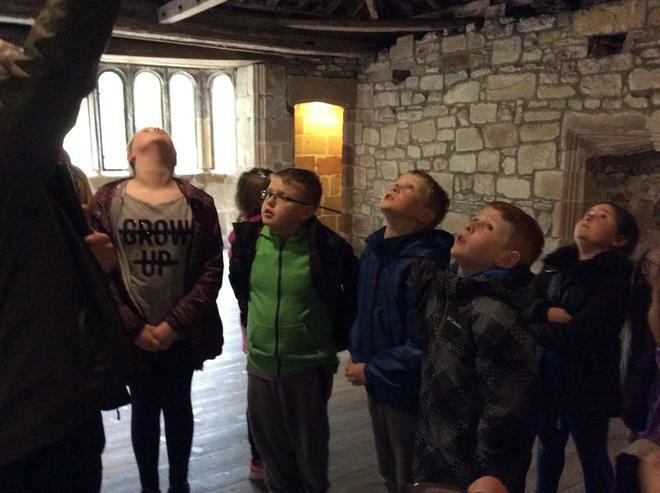 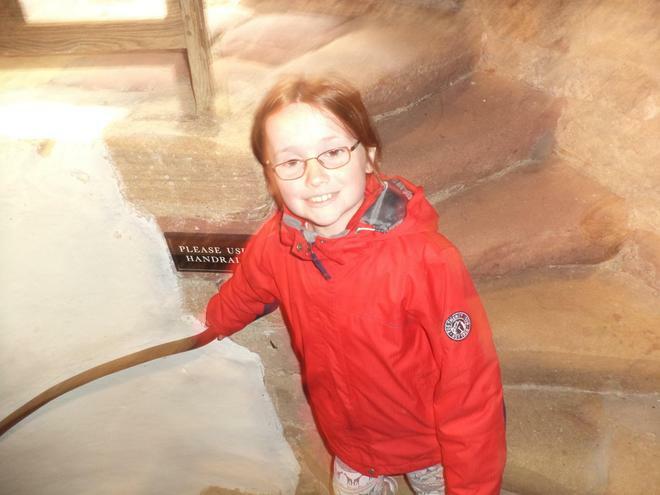 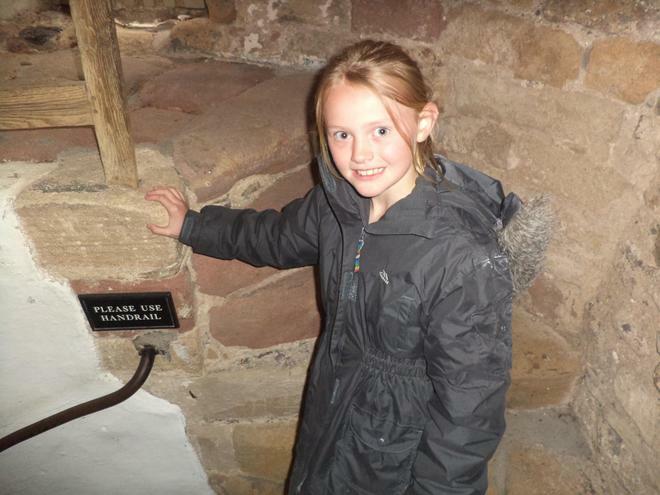 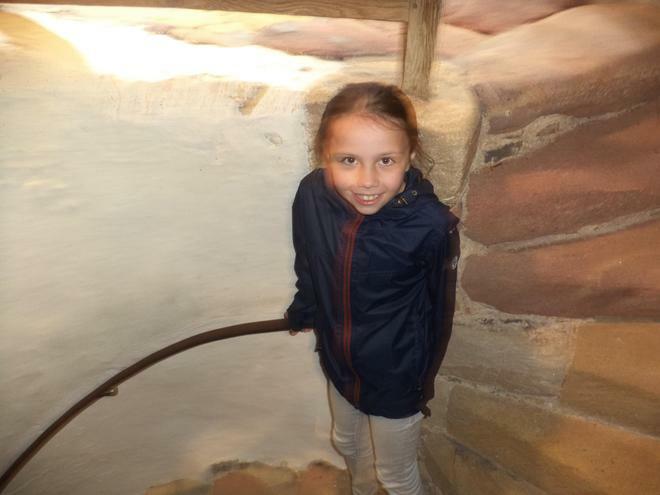 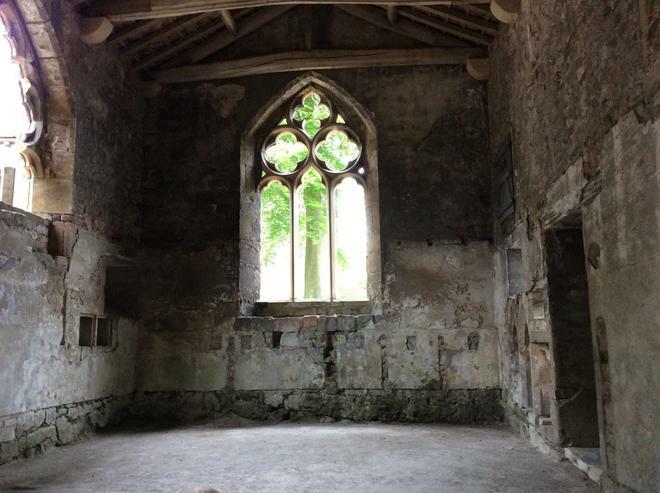 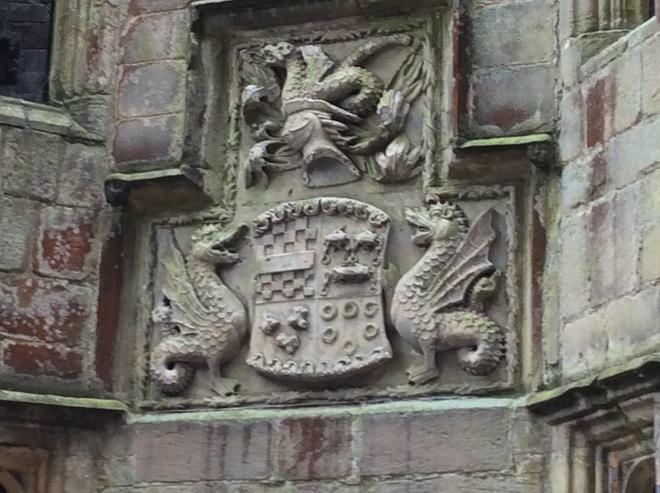 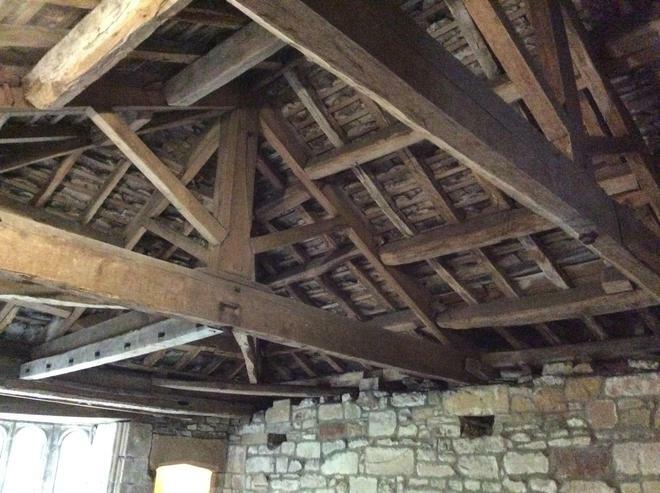 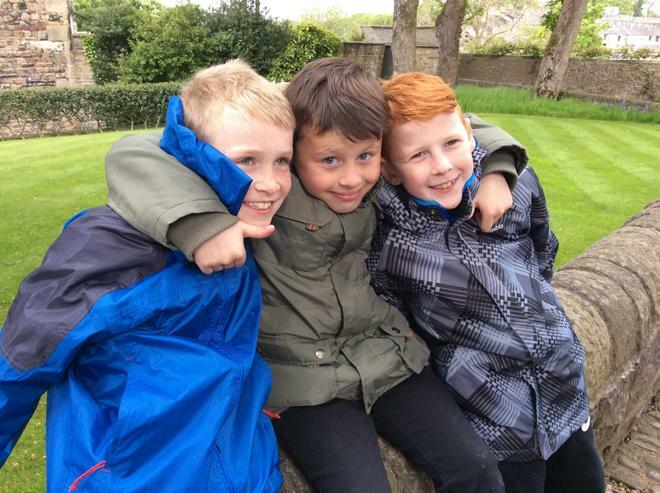 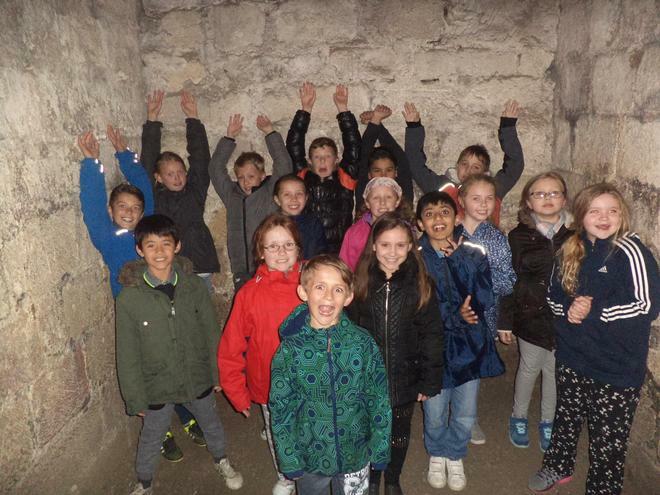 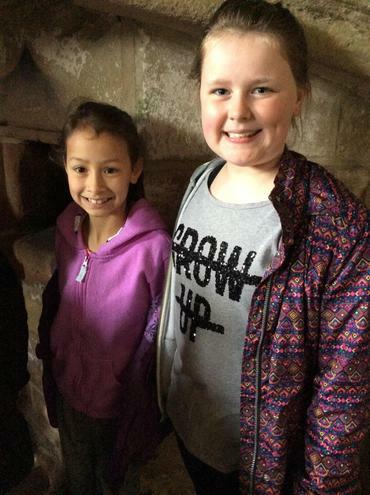 To enhance our understanding of defence over the ages, Year 4 visited the Norman building, Skipton Castle. 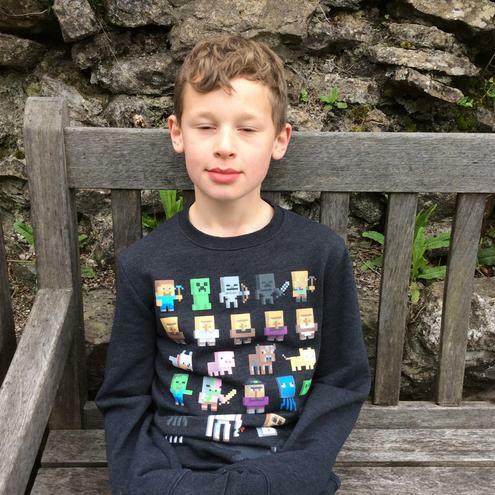 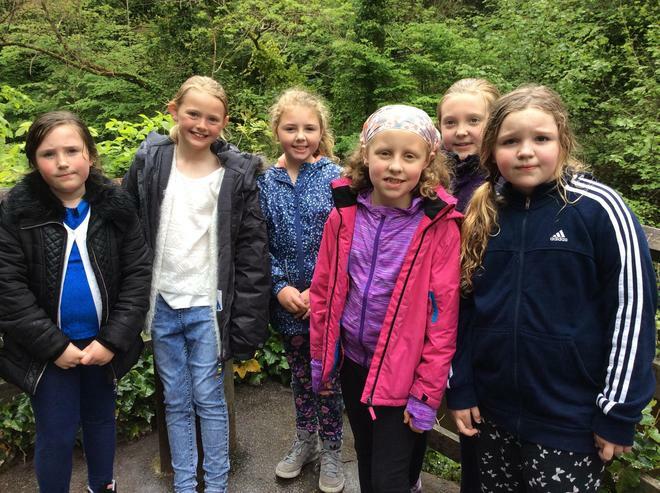 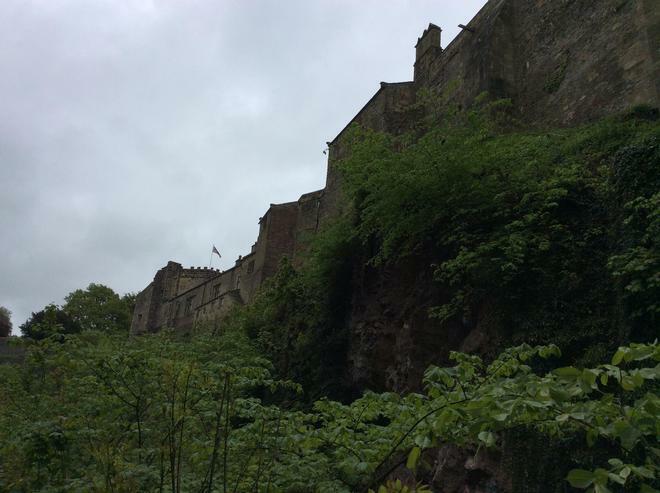 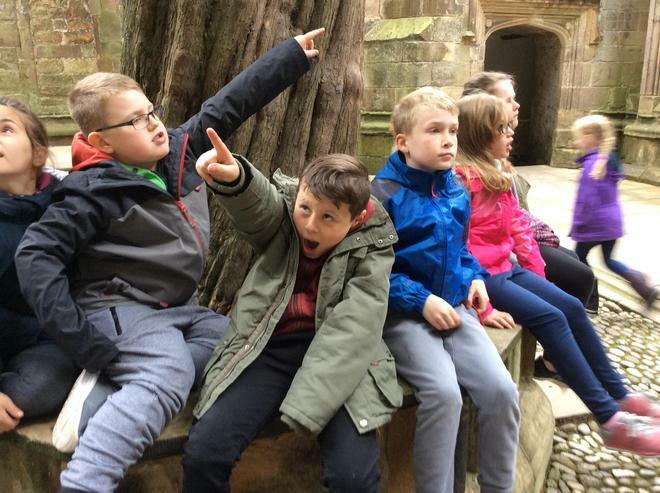 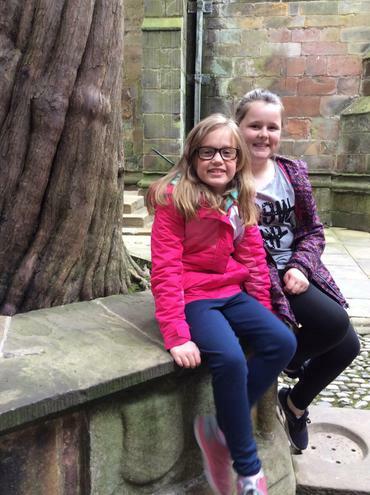 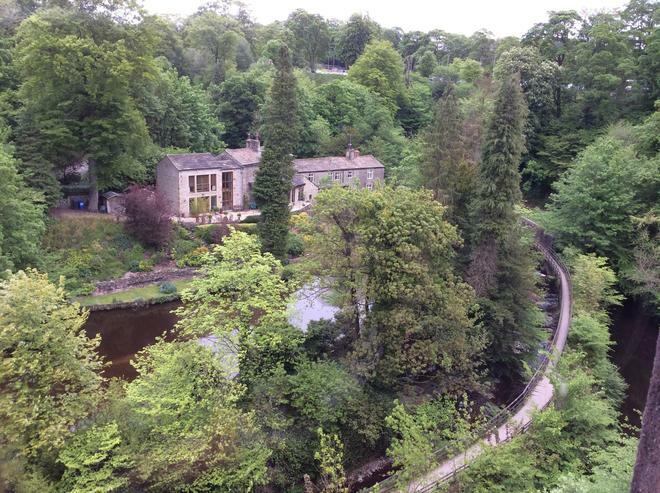 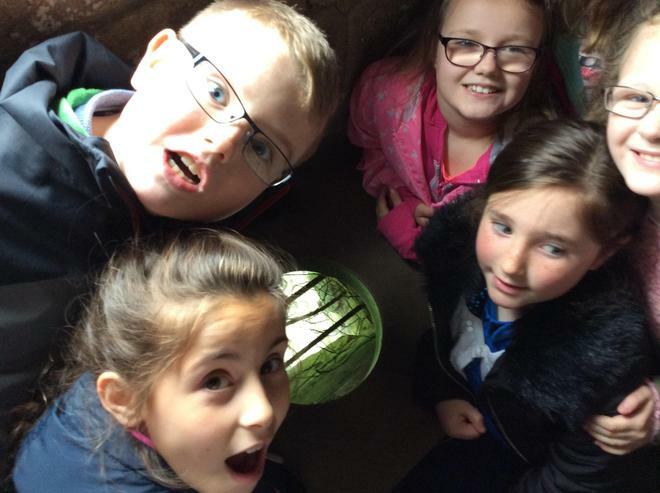 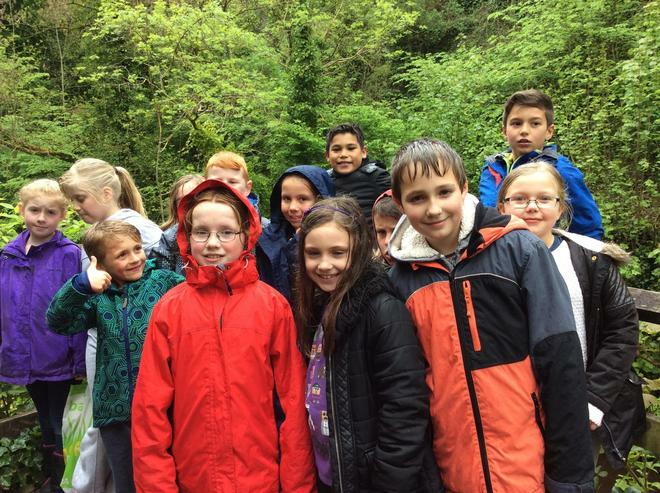 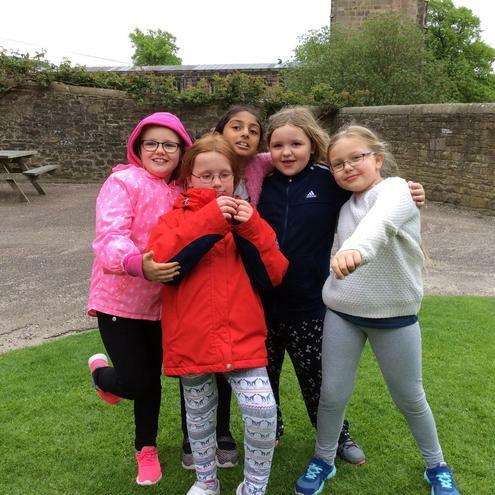 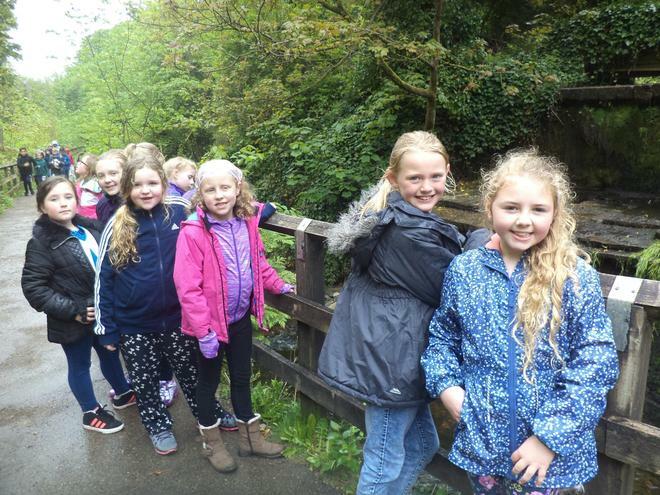 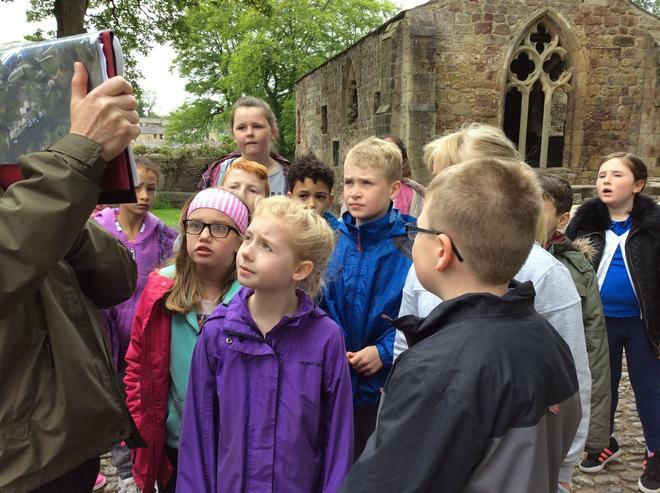 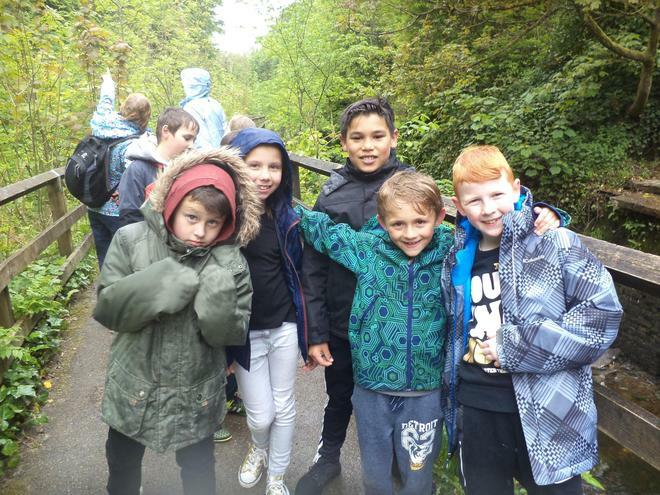 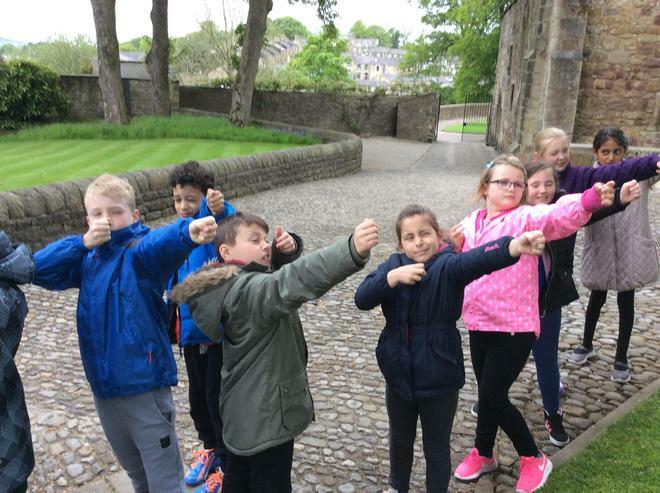 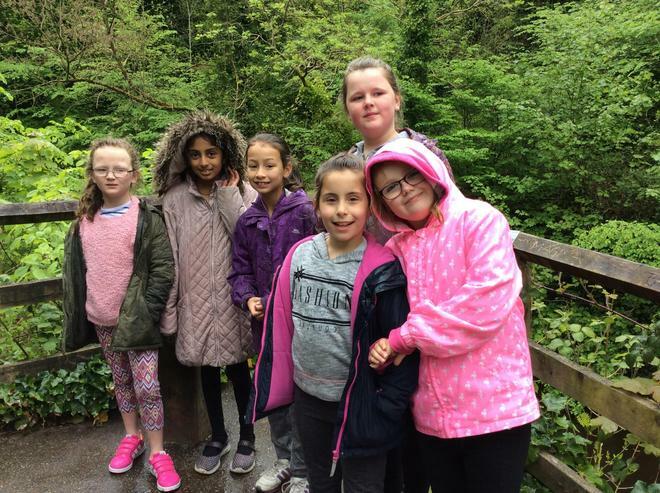 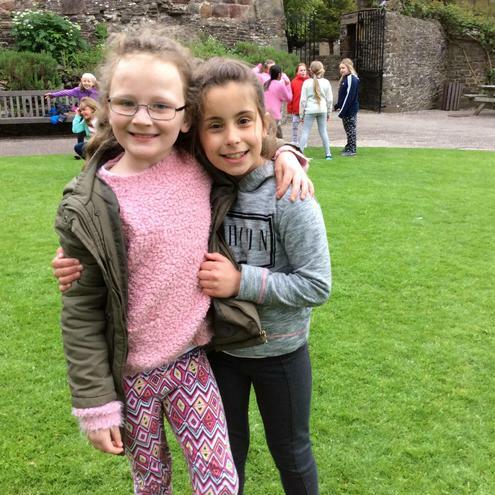 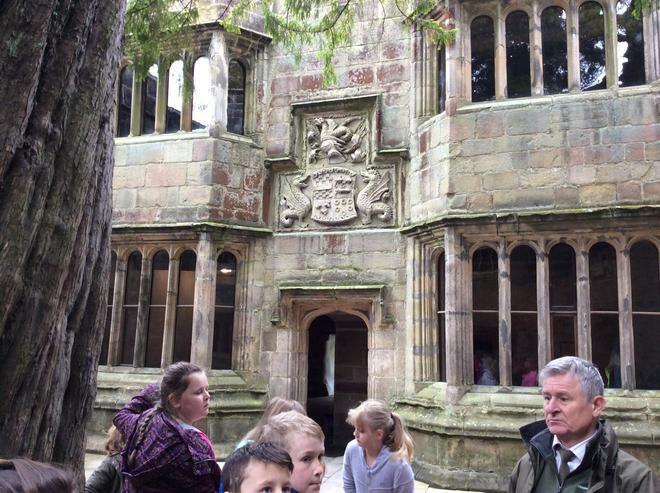 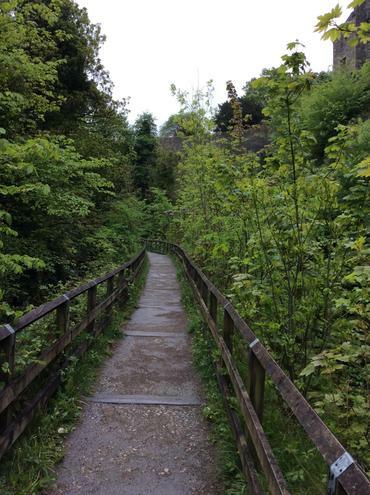 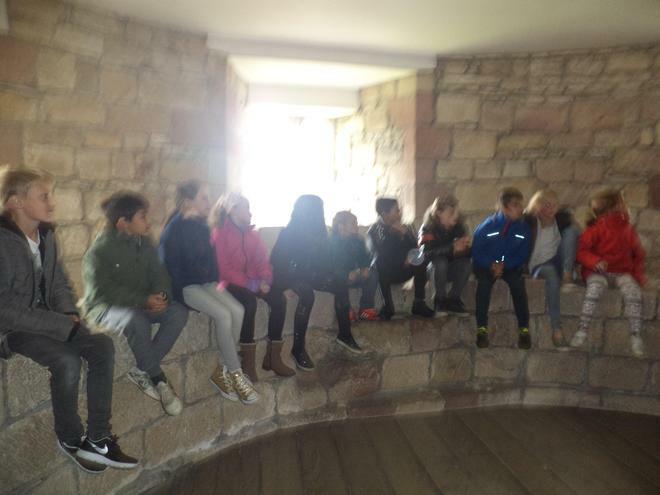 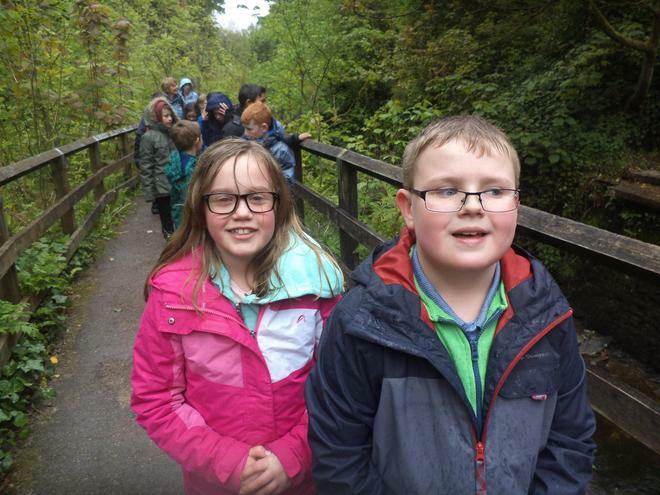 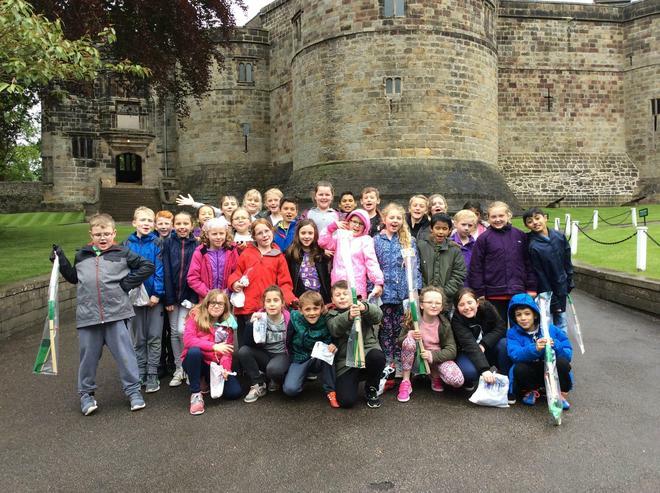 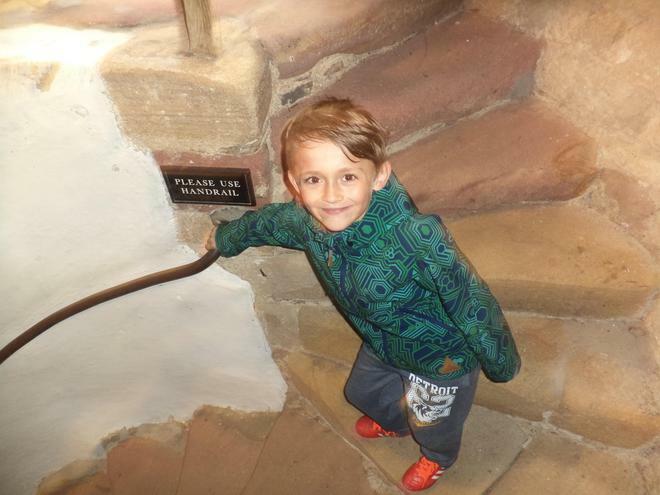 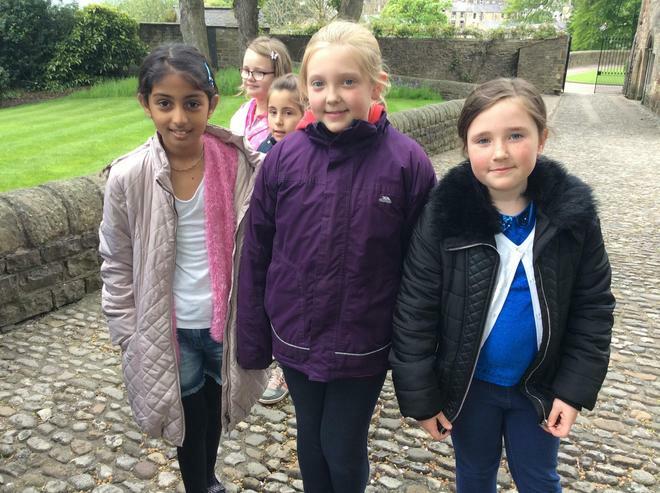 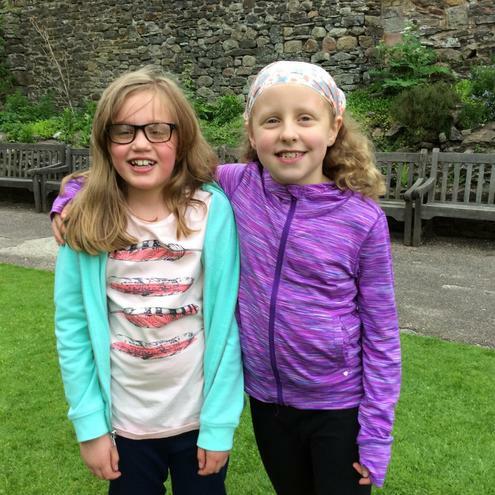 The children toured the historic building, asked questions about invasion and defence and undertook a short walk around the castle and its grounds. 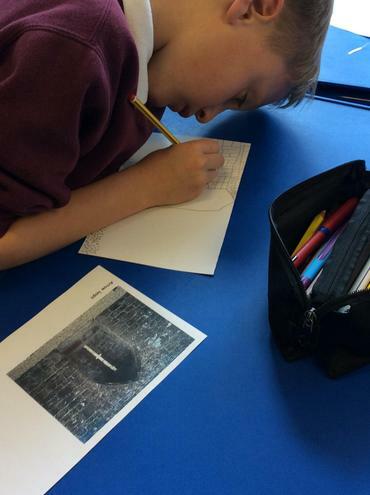 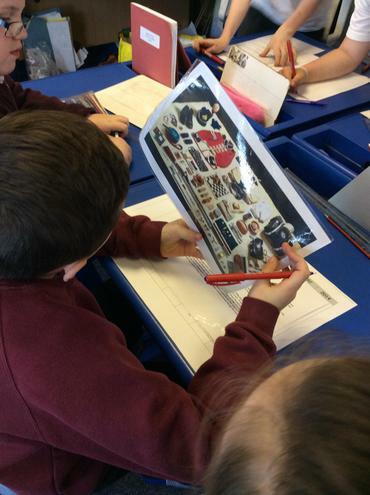 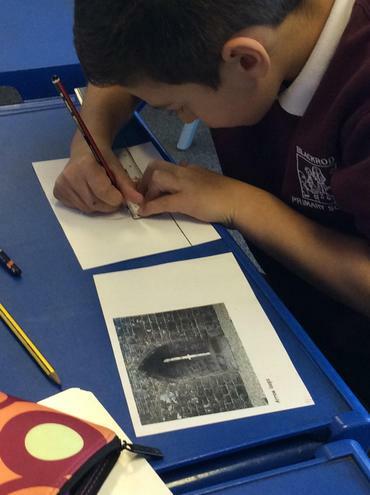 Year 4 were given enquiry cards detailing the contents of a soldier's pack from 1066 to present day. 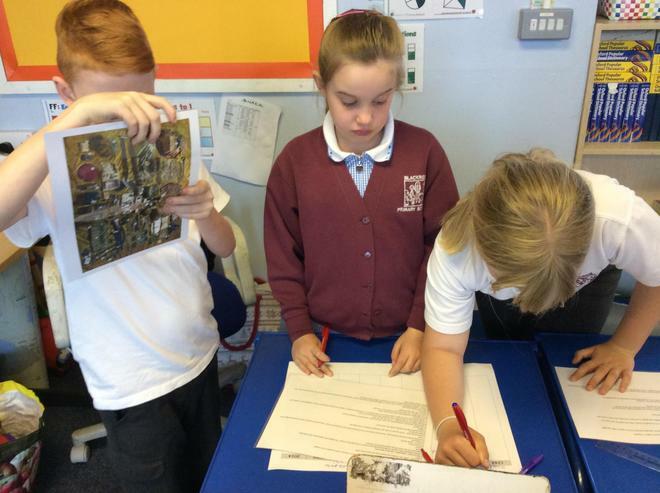 The children had to pick 3 items from each pack that they thought were the most important defensive features. 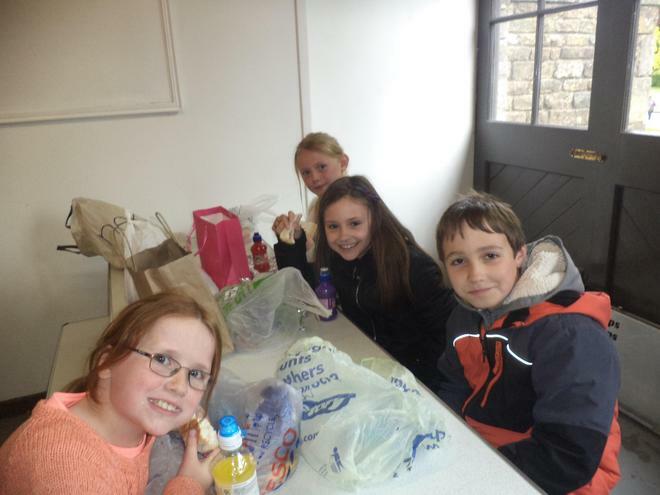 They then had to describe what type of battle was fought based on the contents of each pack. 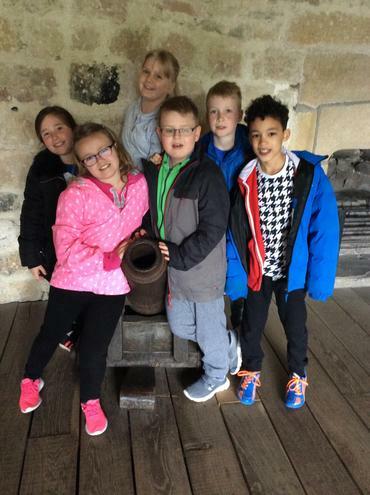 Finally, the children had to choose 3 periods in history that marked a change in defensive technology and battle. 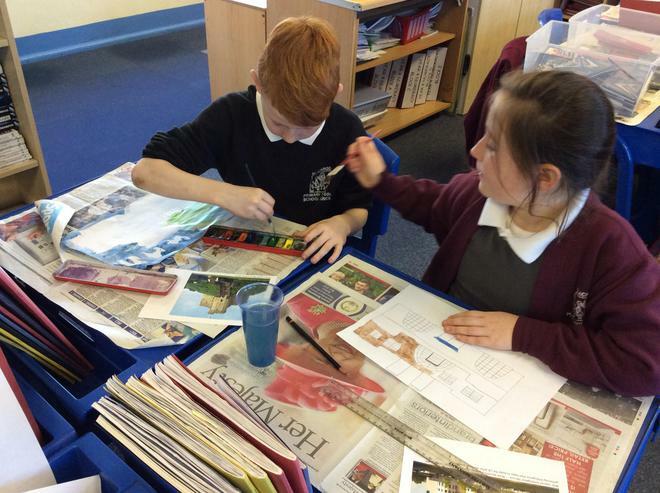 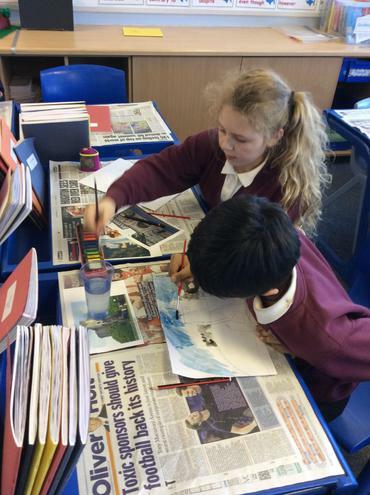 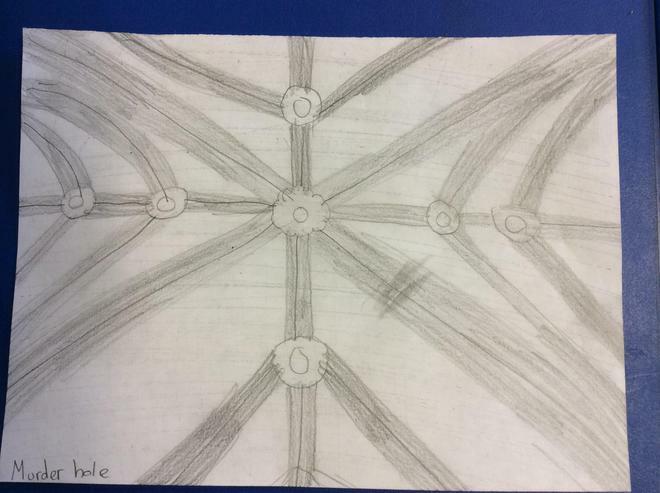 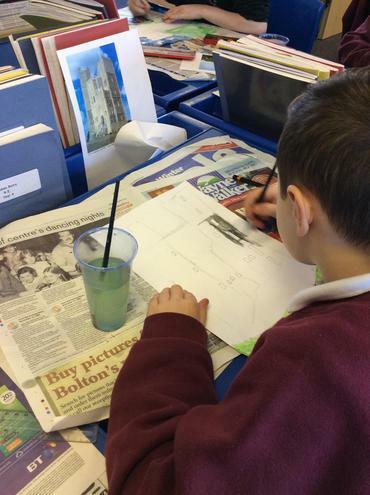 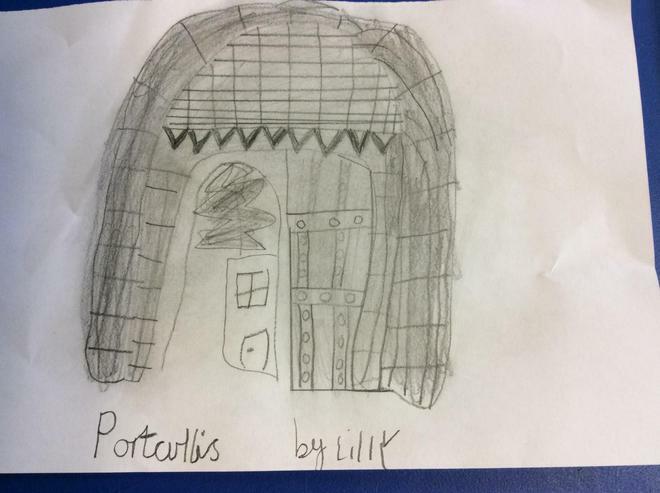 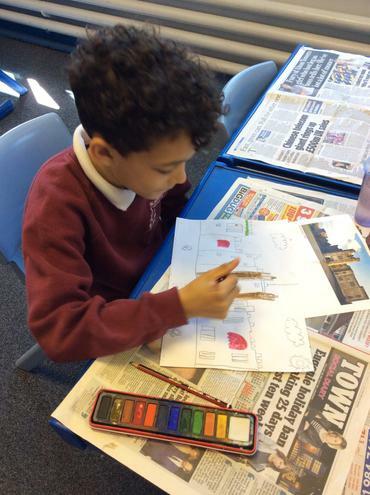 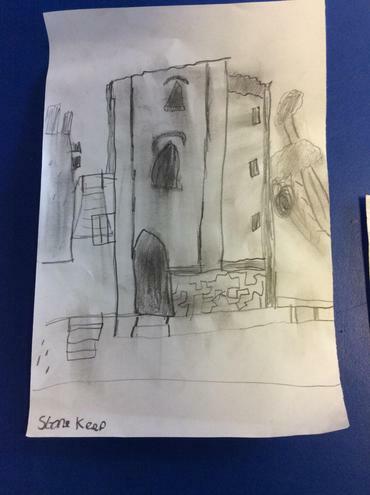 To kick start our new topic Year 4 have looked at a range of castle designs. 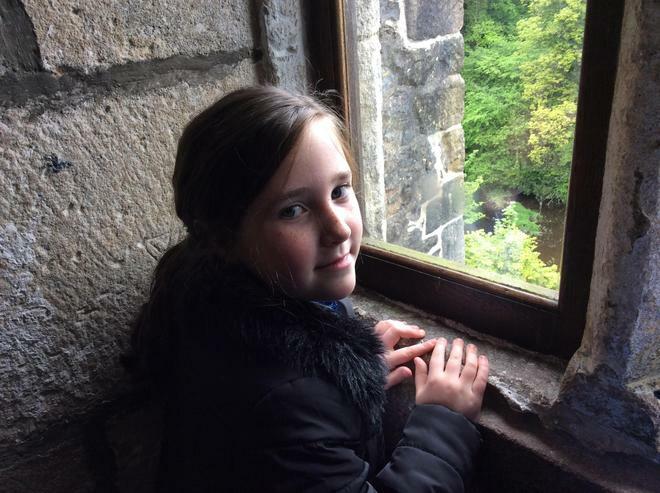 Starting with the Motte and Bailey castle in 1066, moving on to stone keeps and concentric castle and ending with the last castle to be built in England, Castle Drogo in 1930. 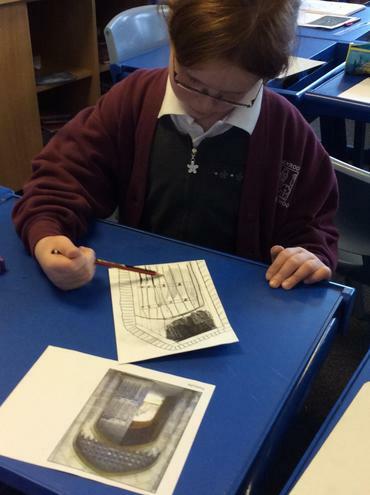 The children also looked at the MI5 and MI6 buildings, as modern day structures used for defence purposes. 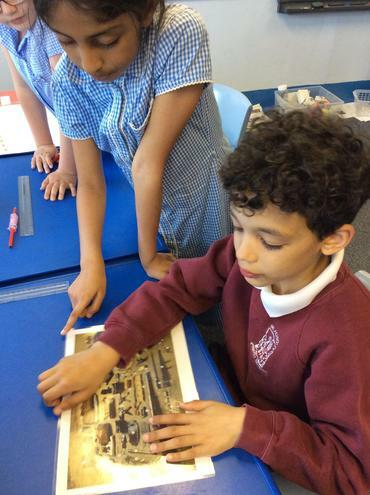 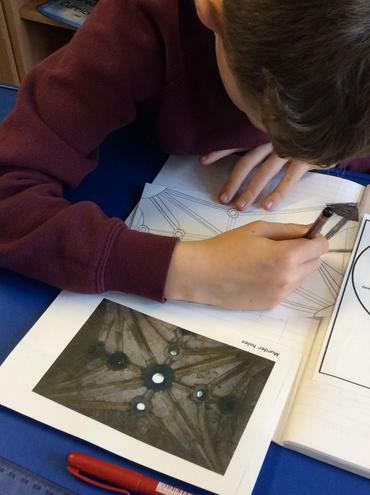 Year 4 examined these buildings, looking at features used for defence. 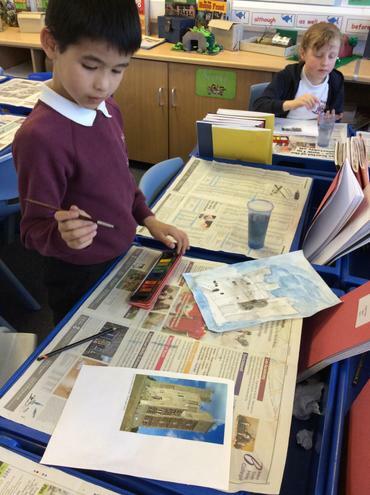 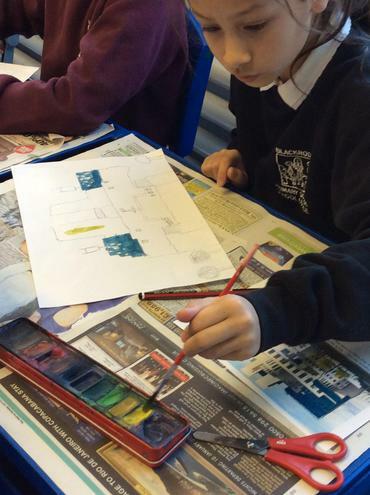 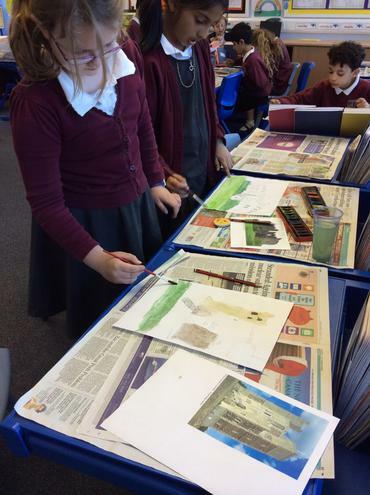 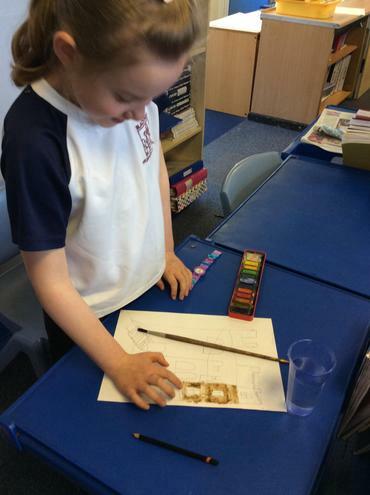 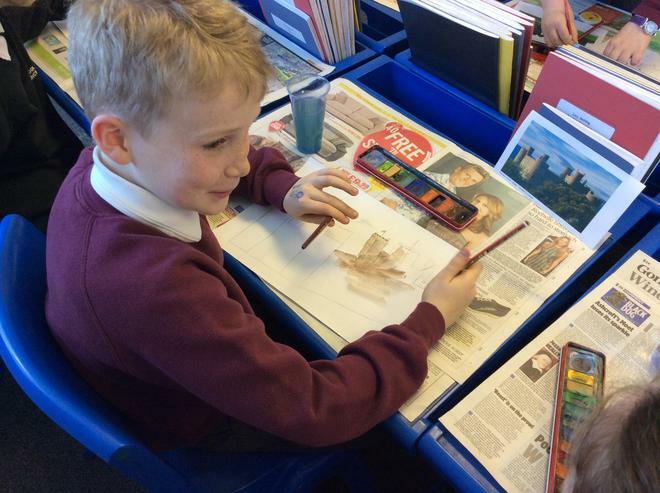 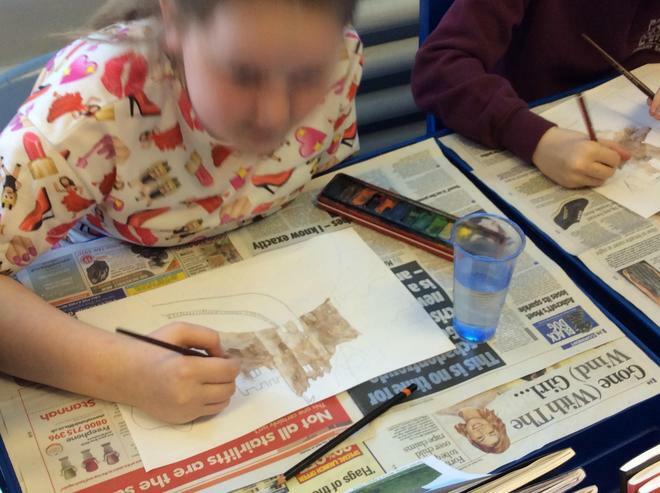 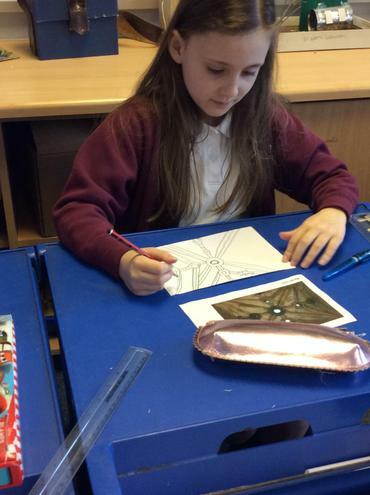 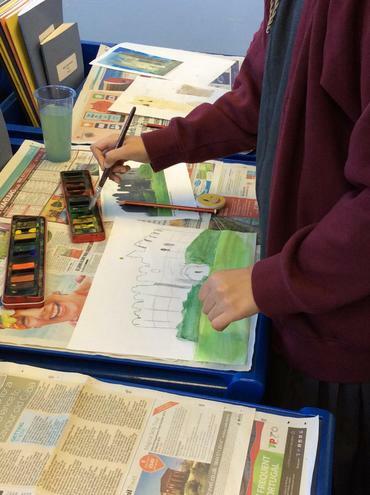 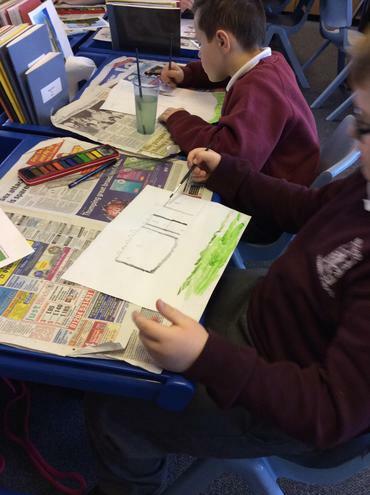 They then used watercolours and artist pencils to draw these features. 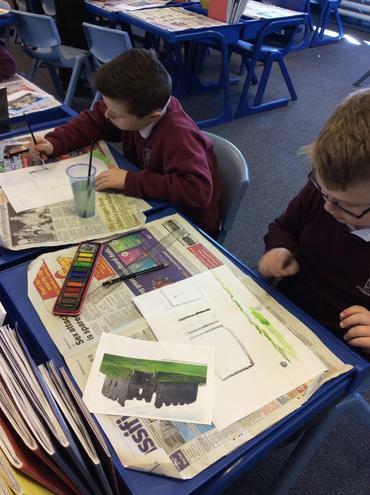 Watercolour paintings of structures built for defence. 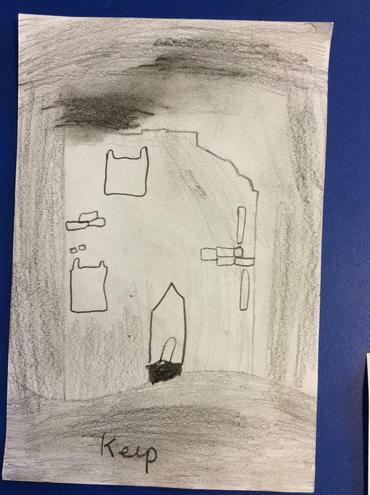 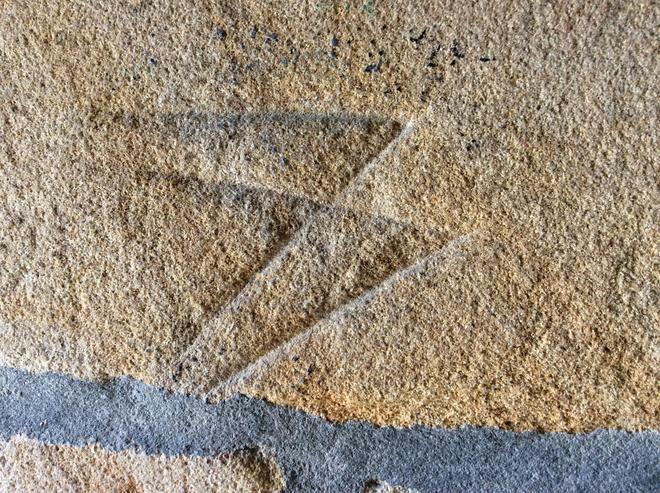 Castle defence features drawn in penicl.